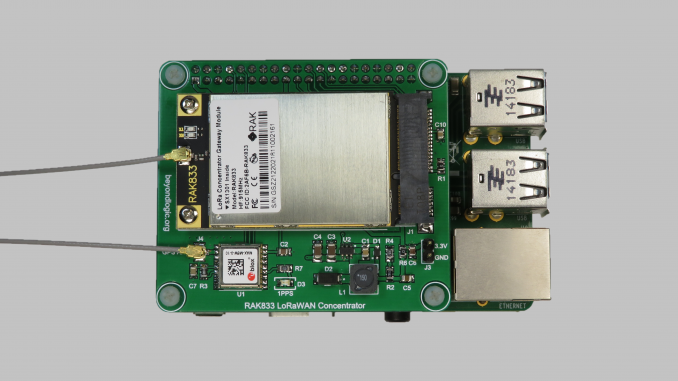 This board is a Raspberry PI Hat for the RAK833 LoRa Concentrator Gateway Module. It is smaller version of the popular RAK831. 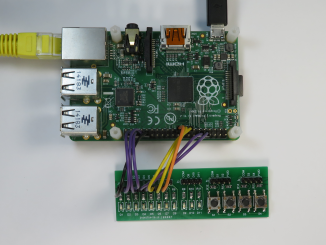 The RAK831 is larger, about the same footprint than a Raspberry PI and requires a breakout board to convert the RAK831’s 24 pin connector to the Raspberry PI’s 40 pin connector. The RAK833 is a more elegant industry standard PCI Express Mini Card form factor (Type F2). 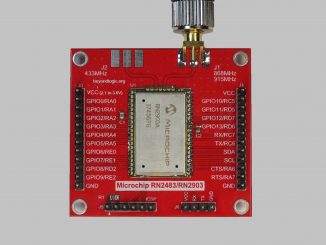 The RAK833 module consists of a Semtech SX1301 Digital Baseband chip for outdoor LoRaWAN Macro Gateways and two Semtech SX1257 Transceivers. The USB interface is provided by an FTDI FT2232H. It supports both a USB and SPI interface selectable via the SPDT_SEL pin. 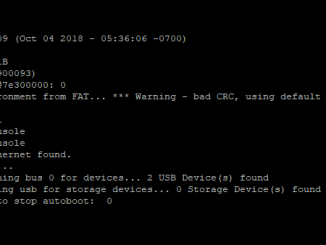 This makes the module ideal for Raspberry PI and other Embedded Linux platforms that do no expose USB on the expansion connector. Variants of the module are available for four different frequency ranges, 433MHz, 470MHz (China), 868MHz (Europe) & 915MHz (North America) and with or without the USB interface (FT2232H). The following table provides details of the allocated I/O. Design files can be downloaded from the Circuit Maker website. Circuit Maker is a free EDA tool from Altium. The PCB for this design was fabricated by JLCPCB.com. An earlier prototype was fabricated by pcbway.com. Do you have any assembled and tested boards for sale? Are you sharing this marvolous PCB? We are looking for a solution to make our world smart with LoRaWAN. Our goal: Spread many gateway`s in the north of Germany, caled Schleswig Holstein (sneak peek: https://riot.nordgedanken.de/iotAbdeckung/index.html). Hope to hear from you Craig. I have just added links on the above page to the Gerbers, Schematic and Bill of Materials for version 1.A.4. If you want to get boards make, you can submit these Gerbers to your preferred board house.